Choosing or Finding an Engagement Ring can be tricky and can take a bit of time. So as an experienced jewellery designer who has made a lot of rings for individual clients, I thought I would share with you some helpful tips and things to consider when choosing and finding the perfect engagement ring. Do you want a ready made ring from a highstreet jewellers such as Goldsmiths, Hendersons, BeaverBrooks, etc, who stock lots of rings that other people have bought? They have trays of the same ring which are in different sizes. Or do you want something unique and handmade especially for your partner? Either way, you want to make sure you choose the perfect ring for them. Do you want it made in Silver, Gold, Palladium or Platinum? Do you want a CZ (Cubic Zercona), Diamond or a coloured precious stone such as Sapphire, Ruby, Emerald? The list goes on. Nowadays you don’t need to choose a Diamond, the stone can match your partners personality and style. Many clients ask me similar questions and one which is popular is what is the different between the various metals? In the UK the gold standard is 9ct and 18ct gold. Abroad you can get 14ct and 22ct. 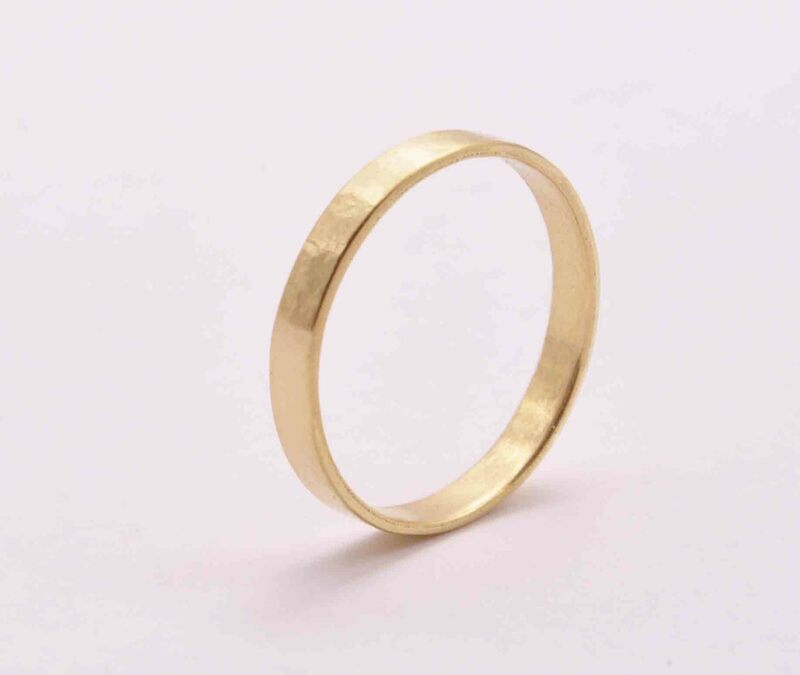 In some cases it is possible to have pieces made in 22ct gold but this is a very soft metal, has limited supply in Britain (due to the UK hallmarking standards) and wears more easily. 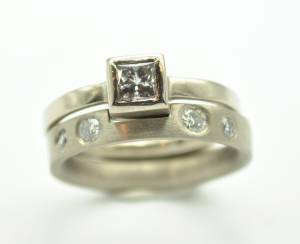 I mostly make rings in Silver, 9ct, 18ct, Palladium and Platinum. When you go to a highstreet jewellers in the UK they will offer you 9ct white gold and 18ct white gold. 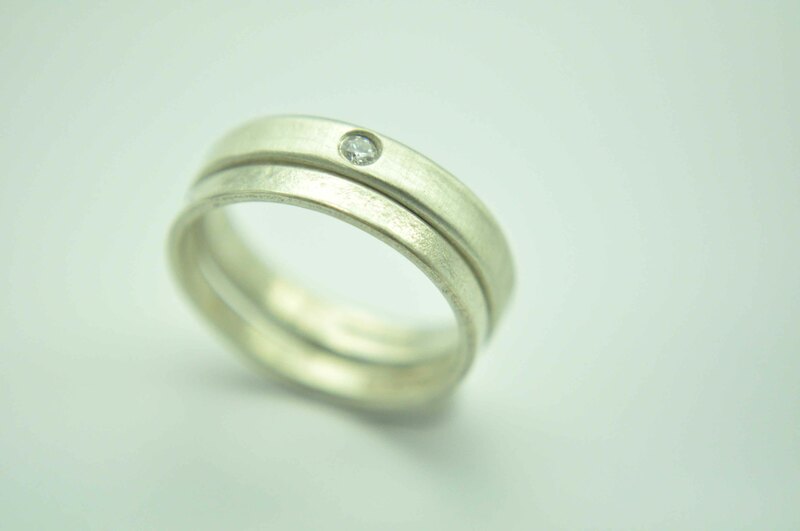 These rings will have a rhodium plating on the metal which makes it a bright white finish. However the natural colour of these two metals is quite different to the plated colour. You must be aware that the plating will wear away over time and the natural colour of the gold will come through so you will have to get this plated at least once a year (depending on ware). This can cost from £30 (each time) depending on which store you take it to. I offer a plating service from £25 so if you would like your jewellery replated get in touch. NB. (I have had clients bring in engagement rings that were sold to them as a 18ct white gold ring but it is actually 18ct yellow gold with rhodium plating. This is really bad as this will need plated twice as much and 18ct yellow gold is cheaper than 18ct white gold). Make sure you know what you are buying. -silver is white metal but has a soft, very subtle yellow tinge. You can also get silver oxidised which tarnishes the metal and turns it black,gray,petrol colour. This comes off during wear so will need reapplied over time. The white metals -Platinum is the hardest of the metals but it does scratch easily. Then 18ct White Gold is the hardest followed by Palladium, 14ct White Gold and lastly 9ct White Gold which is slightly harder than Silver. Silver is the softest metal but lasts a lifetime. 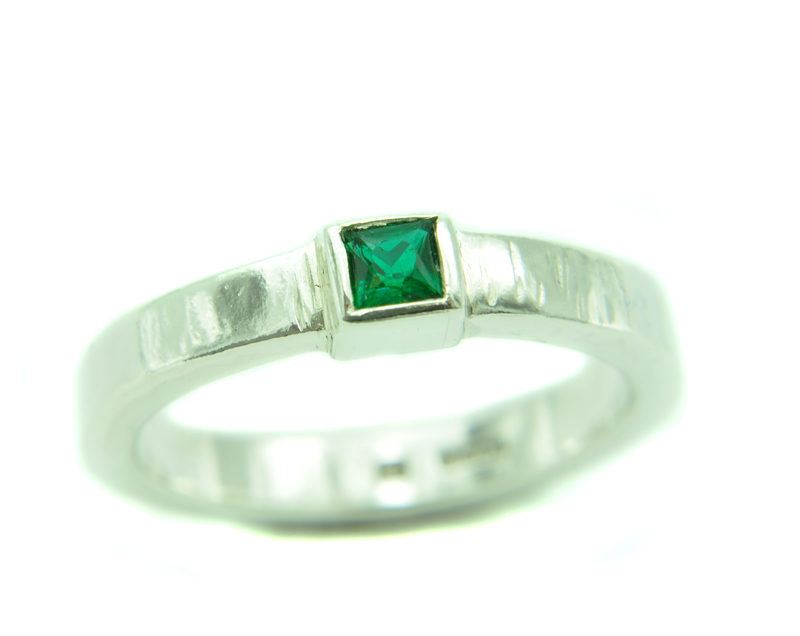 It can be used to make an engagement ring for everyday wear but it has to be thick enough to start with. 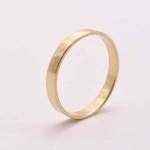 Yellow Gold – 14ct Yellow Gold is harder than 9ct and 18ct Yellow Gold, which are both as soft as each other. Rose Gold – 18ct is the hardest followed by 9ct which is harder than 14ct Rose Gold. 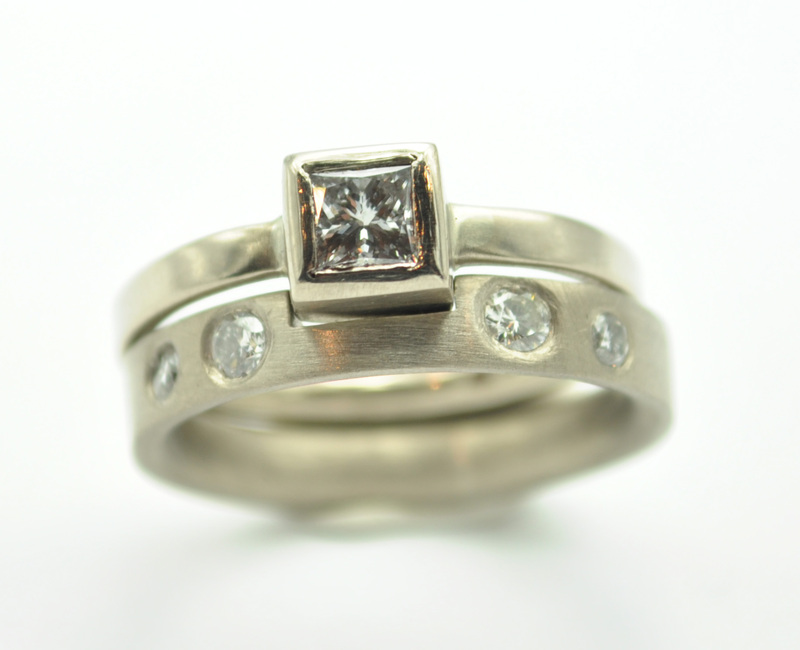 Silver engagement rings can start from £120 (with CZ, cubic zerconia). 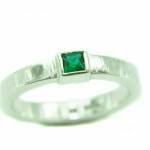 You can check my range of ready made silver engagement rings here. 22ct yellow gold is rare in Britain as our hallmarking standards are 9ct, 18ct (however 24ct is much rarer and harder to source refined bullion). Engagement rings in 22ct yellow gold would be from £1500 upwards. (prices vary depending on intricacy of design, the thickness of metal and size, type of stone. Each piece is individually handmade so if you would like a bespoke piece made for you please get in touch for an accurate quote). 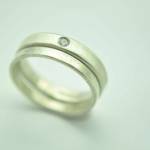 If you are interested in getting a bespoke engagement ring made have a read of my blog post “How to Commission a Piece of Jewellery”, here for some helpful tips.